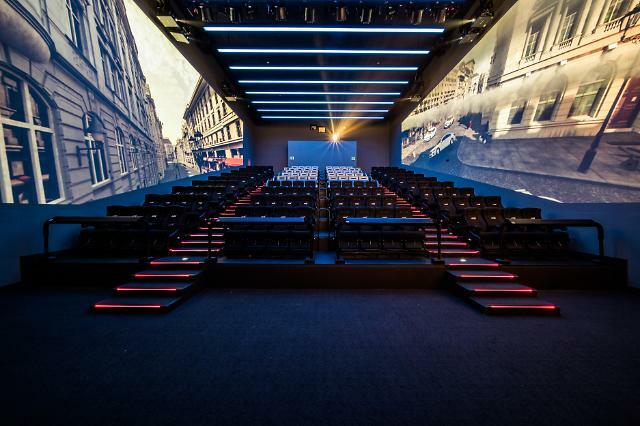 SEOUL -- South Korea's top cinema chain, CJ CGV, opened a new theater in Paris, France that combined its innovative 4DX and ScreenX cinema formats. "Ant-Man and the Wasp", an American superhero film, will be shown at the theater. 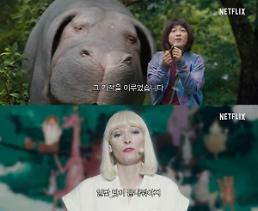 CJ CGV said Wednesday that the theater in Paris was the first of its kind abroad. The chain has established a network of theaters at home and abroad using Screen X or 4DX to provide immersive cinema experiences to moviegoers. Screen X is a 270-degree panoramic screen system which has two more screens added to both sides of a conventional screen, providing a wider angle of view and immersing viewer experience. 4DX using an array of special equipment provides chair-embedded sensory effects such as puffs of air, scented mist, seat motion, wind blowing and vibration to match what's happening on the screen. 4DX has gained phenomenal popularity over blockbuster films- "The Avatar" and "The Pacific Rim".